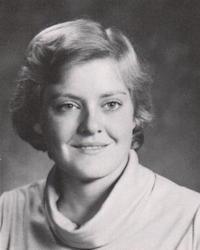 Obituary – Potter, Jana Elaine (Baetz) « Perry High School Alumni Association, Inc.
Basketball 74-78; FHA 74-76; Choir 77-78; Girls Double Sextet 77-78; Annual Staff 77-78; Delegate Freedom Forum 76-78. Jana E. Potter, 51, of Red Rock, Oklahoma, was the daughter of Ronald Max and Leta Faye Franks Baetz. She was born on February 7, 1960 in Perry, Oklahoma and died Thursday, December 22, 2011 at Integris Baptist Medical Center in Oklahoma City, Oklahoma. On May 1, 1980 Jana married her best friend and high school sweetheart Jerry Potter in Perry, Oklahoma at Christ Lutheran Church. Jana started and was in charge of the Frontier Community ED Easter Egg Hunt. She had a love for kids which included owning her own day care and working as a secretary at Frontier Public Schools. She enjoyed crafting, crocheting and making wedding bouquets. She truly enjoyed singing with Hearts and Harmony and playing cards with her and Jerry’s card group. 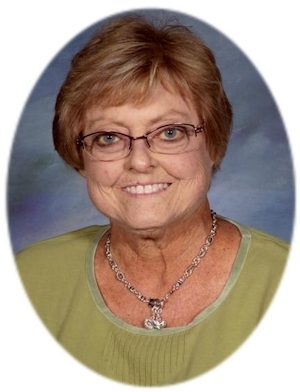 Jana was a member of Christ Lutheran Church where she taught Sunday school and was a member of LWML Unit 1. The family would like to express a special thanks to the Frontier Public School staff for their kind and loving expressions. Funeral services will be 10:00 a.m. Tuesday, December 27, 2011 at the Christ Lutheran Church in Perry. Rev. William Metz will officiate. Interment will be in Red Rock Cemetery. Services are under the direction of BrownDugger Funeral Home. The family will receive friends from 6:00 to 8:00 p.m. Monday, December 26, 2011 at BrownDugger Funeral Home. Memorial contributions may be made payable to the Frontier Community ED Easter Egg Hunt or PAH Pathways in care of BrownDugger Funeral Home, 1010 N. 7th Street, Perry, Oklahoma 73077. Jana is survived by her husband, Jerry Potter two daughters, Kaelyn Jae Potter and Ashley Jan Potter, both of Red Rock, Oklahoma her parents, Ron and Leta Faye Baetz, of Perry, Oklahoma two brothers, Gary Baetz and his wife, Patti, and Mark Baetz, all of Perry, Oklahoma one sister, Roni Folsom and her husband, Richard, of Perry, Oklahoma one aunt, Yvonne Hodge of Perry, Oklahoma one uncle, Donald Baetz of Poteau, Oklahoma and numerous nieces, nephews and cousins. She was preceded in death by one infant son, Hesten William Potter.